If you're an entrepreneur, you know it takes a LOT of tools to keep a business running! Here is a master list of all the tools and programs that keep your business running. This is a constant work in progress, so be sure to check back, but here are some of my favorites! If you're looking for an amazing copywriter, I recommend Laura Robinson of Worditude (http://worditude.co.uk/). Laura is a digital copywriter, who helps solopreneurs create and nurture customer relationships using the words on their website. Laura is also the pro copywriter that helps me out inside of the FB Ads Incubator program! AppSumo somehow manages to land great deals on all kinds of creative, geeky, and practical products for entrepreneurs and sends them out to their list. Apps, tools, you name it. All kinds of cool stuff at amazing deals, so be sure to sign up and read their emails! The contact form and email sign up forms on my site are from AppSumo and they were FREE and super fast to install! Win-Win! I can't recommend Evernote highly enough! It does so much, I can't even cover it all here, but you can save notes for yourself (or share them), write up blog post drafts, save random thoughts, clip articles from the web (my favorite function! ), upload photos and more, and it syncs up between the web, your desktop and mobile devices so you can get whatever you saved, no matter where you are! It's a lifesaver if you come across a lot of great articles on the web that you want to read later or keep on hand to reference. Instead of having a million bookmarks in your browser, clip them to Evernote for later where you can do a search for the topic tags and see everything nicely organized. 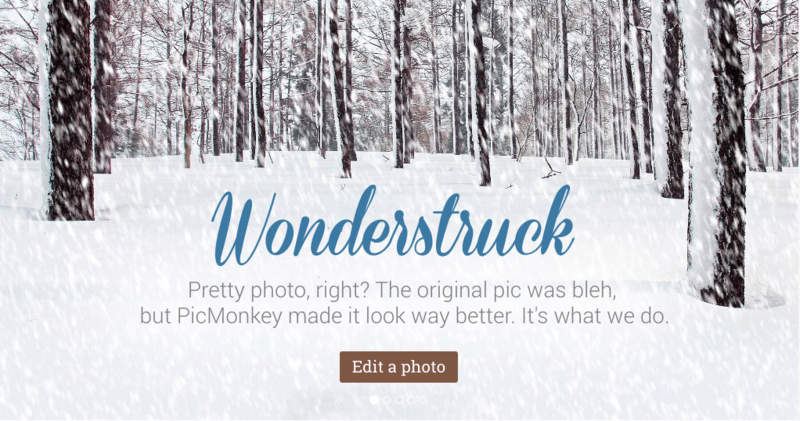 I love to save photos to Evernote on my desktop for access on my phone – which is handy to post to Instagram the cool images you've created in PicMonkey or Canva. Every entrepreneur's nightmare is having your computer crash and losing everything! Keep your computer backed up with Backblaze for peace of mind! Google Drive and Dropbox are both great options for storing files “in the cloud” and sharing them with others as needed. I've used Dropbox for years, but if you need more space and a paid plan (they both have free options), I like the fact that Google Drive eases you in with a lower tier than is available on Dropbox. If you have a Google account, you have a free Drive account ready and waiting for you! Score! I love, love, love this extension for the Chrome browser. If you go to the Chrome Web Store and do a search for Momentum under extensions, a few choices will come up. 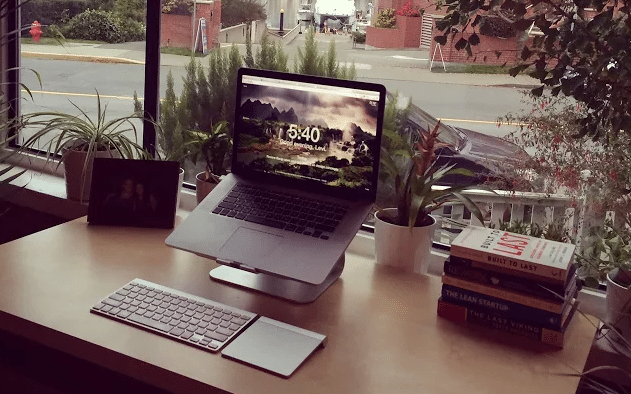 You're looking for the one from Momentumdash.com and it will look something like the screenshot below. Every time you open up a new tab in Chrome it will present you with a breathtaking photo, an inspiring quote, a place to write your focus for the day, and a to-do list that you can check off and add to continuously. A cool thing about having this pop up when I open tab number 20 for the day is that it makes me pause for a second, recheck my to-do list and make sure I'm not going down a rabbit hole instead of sticking to my list. 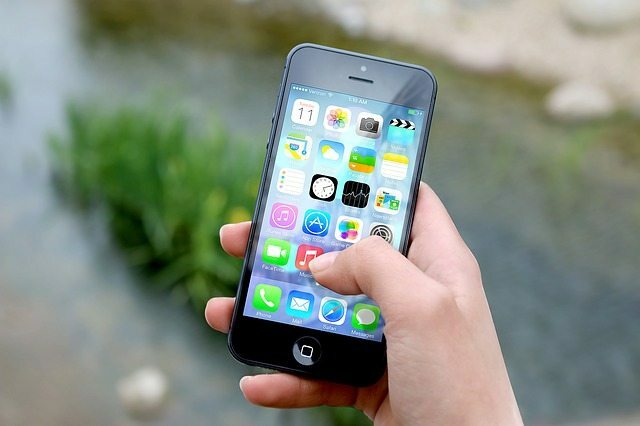 Hootsuite & Buffer are two of the most popular tools for automating your social media posts. In addition to scheduling your updates to Facebook, Twitter, Google+, etc., they also shorten URLs, give a one-time push to all social media accounts, and provide analytics and reports on relevant metrics, plus so much more! PostPlanner is a Facebook application for scheduling posts. The layout looks nearly exactly like Facebook which makes it that much easier to use. Just connect to the application to Facebook, and all your fan pages will be pulled in. Select the one you want to post to, and post to it. Plus, Post Planner can help you with finding the right content to share for multiple Facebook pages, not just one! Iconosquare for Instagram, formerly Statigram, is a resource for finding key metrics for your Instagram account. Just go to the website, connect your Instagram account, and get your total number of likes received, your most liked photos ever, your average number of likes and comments per photo, your follower growth charts and more advanced analytics. Wordswag adds pretty text to an image in seconds. This is probably my favorite app for creating quote images for Instagram! Flipagram is the easiest way to share all the great stories trapped on your phone! Create fun short videos with your photos and favorite music. Share privately or with followers in the Flipagram community and beyond. Explore trending flipagrams to discover interesting people and stories from around the world. Stop screenshotting, cropping, and posting again on Instagram. Repost for Instagram makes it easy to repost your favorite photos & videos while giving credit to the original Instagrammer. Quickly combine multiple photos into one beautifully framed picture. PicStitch packs a simple design with a powerful editor to give you everything you could possibly want to make your photo's simply amazing. Instaquote helps create beautiful text pictures for Instagram. Shake combines the simplicity of a handshake with the security of a legal contract. Use Shake to quickly and easily create, sign and send legally binding agreements on your iOS device. Pages Manager helps admins connect with their audience and keep up with activity on multiple Pages, all in one place. Just install Pages Manager and then log in using Facebook to quickly access and manage all of your Pages from wherever you are. If you're looking for a great paper planner, the two I use and love are the Leonie Dawson workbook and the iBloom planner. I used Leonie's to really envision my year and set big goals. I use the iBloom planner every single day and adore it! 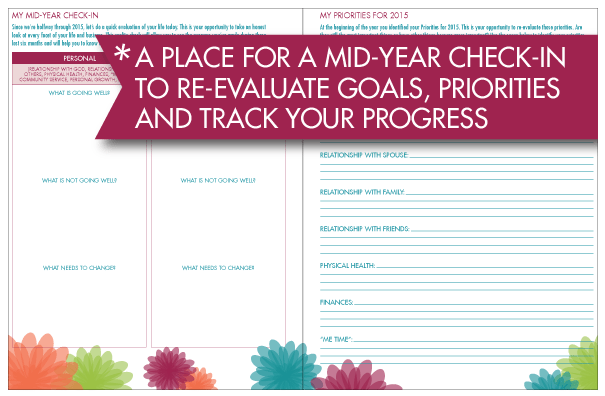 It's great for keeping up with day-to-day plans and to-dos but also for planning out big projects and keeping track of your goals. If those aren't your cup of tea, check out this blog post for LOADS more options to suit everyone. This is a powerful free calendar! Have a Gmail address? You have access to a Google calendar! Nice perk – you can set up multiple calendar types (marketing and content calendars, personal appointments, etc) and even share a calendar with someone on your team to make planning easier. Insightly is the most popular CRM tool for entrepreneurs. From simple contact and task management to sales opportunity tracking, reporting and project-management, Insightly makes your job easier! 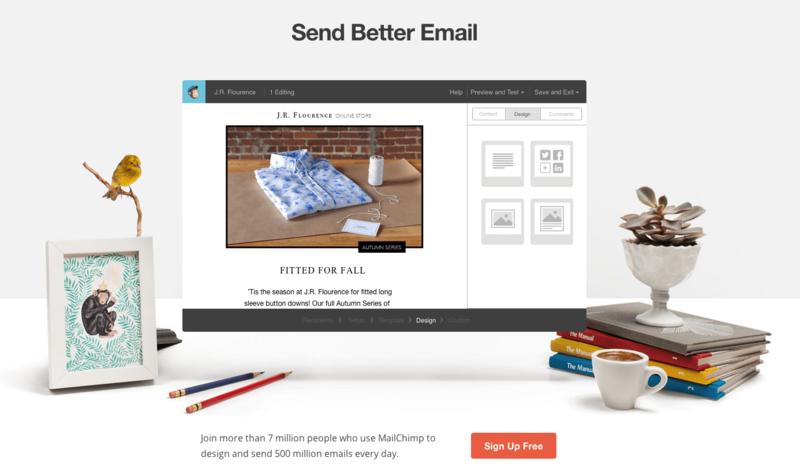 MailChimp is what I used starting out for my email marketing. It's affordable, easy to use, has great customer care, and has plenty of functionality for what most new entrepreneurs need to start building a list and sending out emails. There's a free plan, but in order to do automated emails, you will want to go ahead and grab a paid plan. Infusionsoft is what I moved along to once I was ready for a more robust email marketing system that can handle more complex funnels. Shoot me an email if you would like me to connect you to my Infusionsoft rep or let them know I sent you if you call! I love Zoom for screen sharing and recording! I've been using it for about a year now and rarely have issues with it. It's more stable than Skype or Google Hangouts for me. I use it for 1-on-1 coaching with clients and have also done small group training with Zoom. The presenter can share or allow others to, you can be on screen or off, talk thru your computer mics or dial in on the phone, and there's a chat box as well. It's a great low-cost option for smaller groups. Google Hangouts are a great free way to host webinars! If you would like to add in chat and some other functionality to make life easier, the two that come the most highly recommend to me are Easy Webinar and Webinars on Air. FreeConferenceCall.com is a great free option for hosting international calls with a group. It allows you to record the sessions, mute listeners, and more. Everyone calls into the same line to talk. Easy peasy. If you need a mic for better audio quality, but aren't ready to invest in something super fancy, I love the Logitech ClearChat Comfort/USB Headset . I've used it to record all of my videos and it does a great job. As long as you don't need to be on camera while using it – or don't care to be seen wearing a headset I suppose – it's an excellent option. When I am on camera, I just use the built-in mic on my MacBook Pro and the audio has always been great that way too for Google Hangouts and the like. LeadPages is the tool I am currently using to build landing pages. If you need a quick and easy way to get a landing page up and out into the world, it's a great option. They've done a lot of testing to make sure their templates convert well, and have lots of built in functionality. I wish the layouts were more flexible, but it's a great option for most people. Unbounce is the landing page builder I used at my full-time job for many years. They have beautiful, flexible designs that allow you to build professional-looking landing pages from templates. Unbounce is made to be easy to use for anyone, so you don't need to know code to build them. 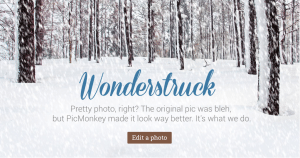 My favorite programs for creating amazing graphics are PicMonkey and Canva. They work right in your web browser, are easy to use and free-to-cheap. Design Wizard has a lower cost licensing model and all of the tools and features are available in the free subscription. Confession: I'm a big ol' book nerd and read as much as possible, so I am working on a complete list of books (and audiobooks) I love for business and personal development, but that's still in progress, so be sure to check back later. In the meantime, here are a few recent reads that I loved. Note: Some, but not all, of the links on this page are affiliate links, meaning I may receive a commission on sales. However, everything listed here is a program I personally use and love, or that has come very highly recommended by close connections. I take the recommendations seriously and want to help you! Your cost is NOT impacted – you will not pay more by using my links. In some cases, you might even save money!